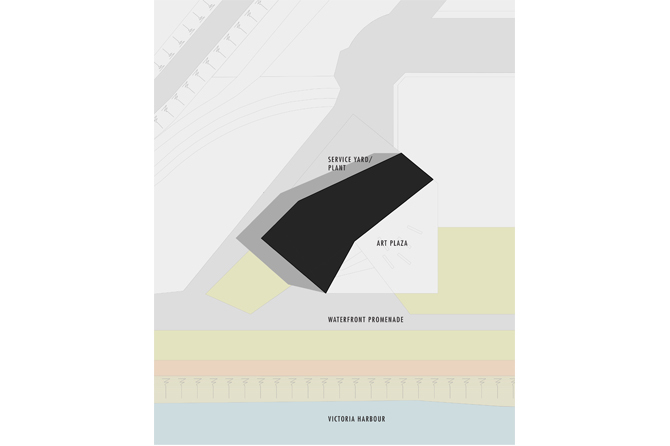 The 'DARK STAR' Pavilion was designed as Graeme Nicholls' entry for the international design competition to design a new arts pavilion for the exciting West Kowloon Cultural District in Hong Kong. 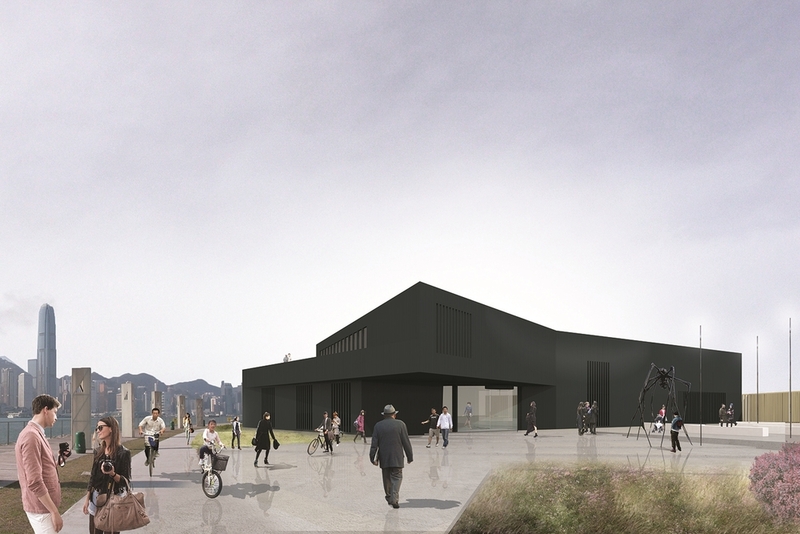 The building is intended as a unique smaller gallery which should have a distinct character from, and act as a counterpoint to the larger M+ Gallery by Herzog De Meuron. The cranked form of the building is determined by the parameters of the site, and to take advantage of key views over the Harbour. The building is clad in a black anodized profiled aluminium, which gives the building the monolithic sense of a sculpted object. The material has been selected for its unique visual appearance, and to build on the cultural meaning of the colour black.